For the past three years, LVMH Métiers d’Art has invited artists in residence to work at the production sites of different LVMH companies. After Thomas Mailaender at Tanneries Roux in Romans-sur-Isère and Amandine Guruceaga at the Spanish tannery Riba Guixà, Marion Verboom completed her LVMH Métiers d’Art residency at the Manifattura Thélios during the first half of 2018. 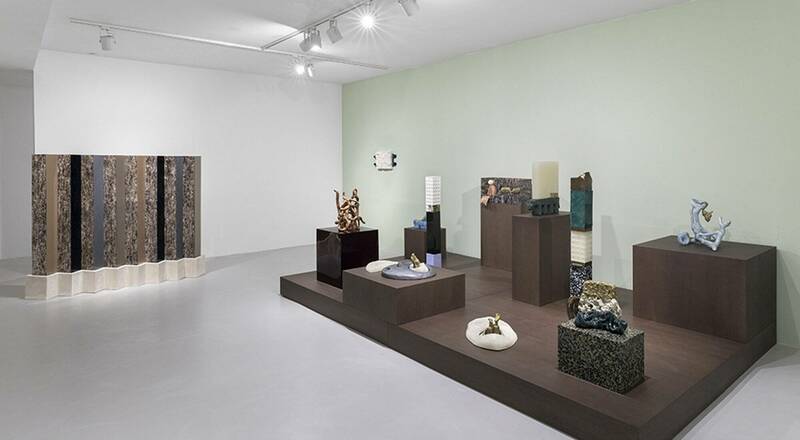 Her creations are being displayed in an exhibition at the Jérôme Poggi contemporary art gallery in Paris. 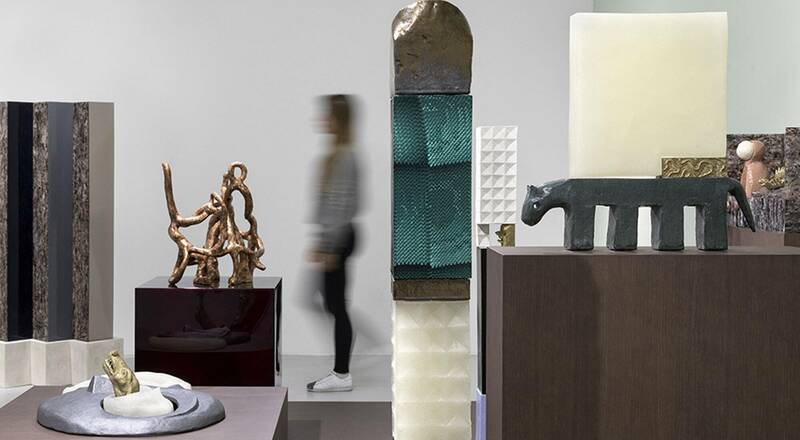 LVMH Métiers d’Art enables artists to engage with the savoir-faire and raw materials that are essential for the Group’s fashion and luxury leather goods Maisons, inspiring artistic projects. Inaugurated in 2016, this initiative both supports creative talents and stimulates innovation by our different métiers. For the third LVMH Métiers d’Art artist in residence program, Marion Verboom spent six months during the first half of 2018 at the Manifattura Thélios in Longarone, Italy. Her immersive experience led to the creation of 15 works that sprang from her experiments with acetate, an essential component in making eyewear that the artist found particularly inspiring. Thélios, a new entity specialized in eyewear for LVMH Group Maisons, provides end-to-end product support, from design through distribution. It brings together cutting-edge technologies and unique savoir-faire, fusing innovation and tradition. Marion Verboom immediately connected with this universe: “I’ve always found acetate quite mysterious. During my residency I learned how to model it and inject different external materials into it. This gives it both structure and soul, rendering it “animato”, the term used by the Italian artisans I was fortunate to work with,” she recounts. 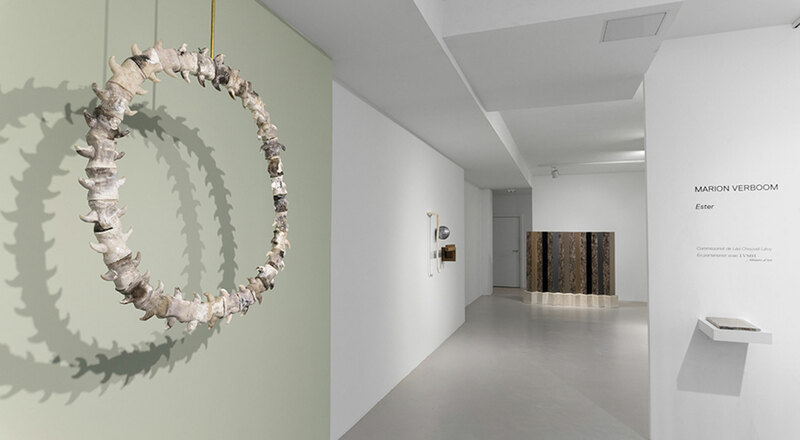 The sculptures produced during her residency are being featured in an exhibition entitled “Solo Show – Ester” at the Jérôme Poggi gallery in Paris until January 12, 2019. Marion Verboom’s experience at Thélios is presented in a book published by Éditions RVB Books, also presented during the exhibition.